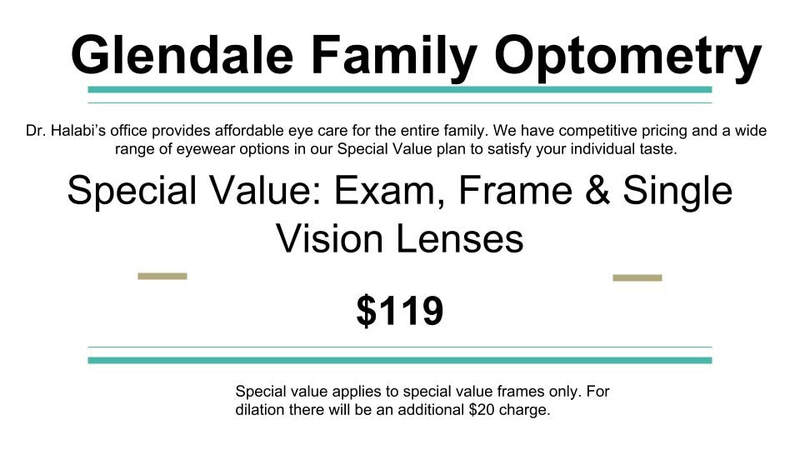 Promotions - GLENDALE FAMILY OPTOMETRY ANI HALABI, O.D. 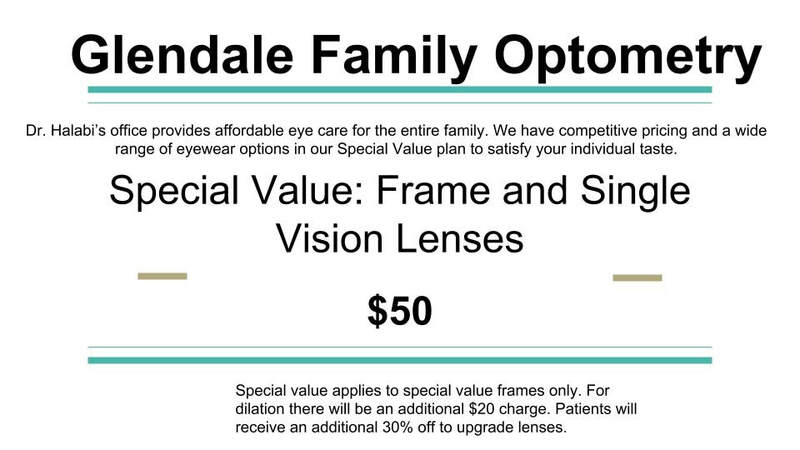 AFFORDABLE FRAMES AND OPTHALMIC SINGLE VISION LENSES FOR THOSE THAT WANT TO SPEND LESS OR HAVE A SMALLER BUDGET. EYE EXAM, QUALITY AFFORDABLE FRAMES AND SINGLE VISION OPHTHALMIC LENSES FOR THOSE THAT WANT TO SPEND LESS OR HAVE A SMALLER BUDGET.